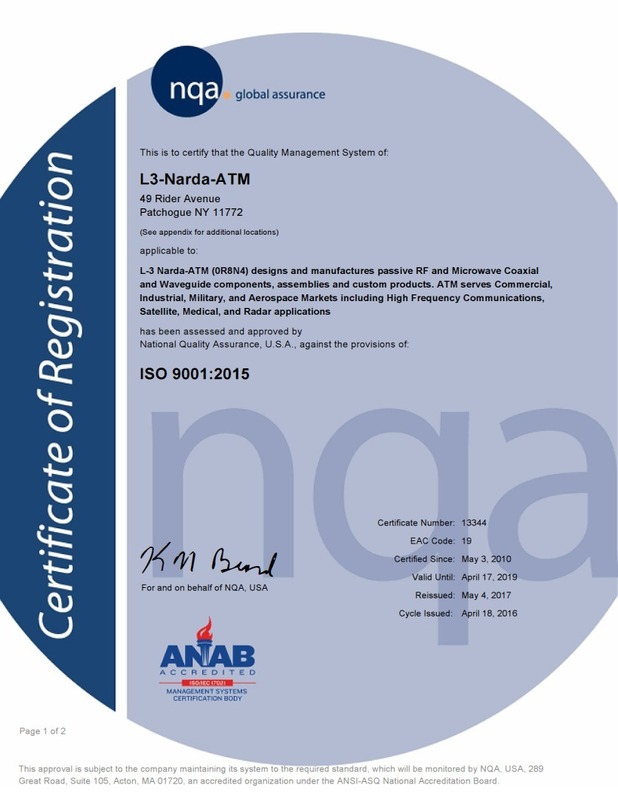 L3 Narda-ATM is proud to have been re-certified once again by NQA for ISO-9001:2015 for our Quality Management Systems and procedures. 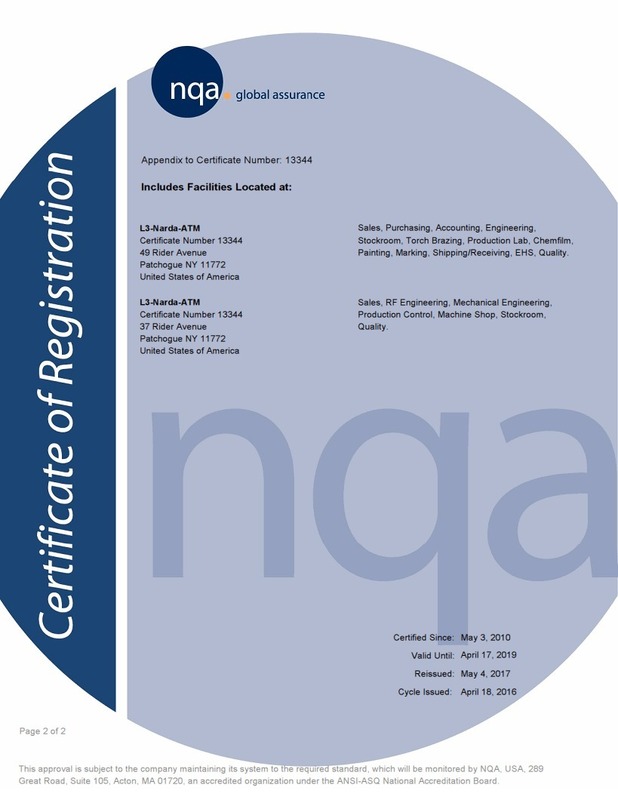 We strive to provide excellent quality components and believe this is a reflection of the hard work of our employees to deliver for our customers. 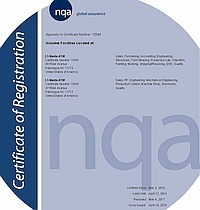 Our Quality Management System has been certified for “Design and manufacture of passive RF and Microwave coaxial and waveguide components, assemblies and customer products serving commercial, industrial, military, and educational markets for satellites, telecommunications, TV/radio communications and radar applications” by NQA (National Quality Assurance, U.S.A.
Click the thumbnail below to view an image of our latest Certification from May 2017. 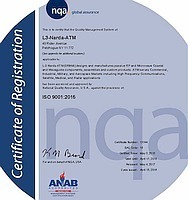 Click here to view PDF for printing.